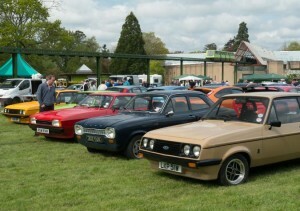 Beaulieu’s hugely popular Simply Ford will return on Sunday 3rd May. Held in the grounds of the National Motor Museum, this celebration of all cars and vans wearing the famous blue oval badge starts off in a busy schedule of Simply Rallies for 2015. With up to 1000 Fords of all shapes and sizes expected to attend, Simply Ford has become a firm favourite with enthusiasts, with all Fords welcome to join the display in the parklands and enjoy a fantastic day out. Whether you own a modern-day Mondeo ST, a classic Fiesta, an iconic Capri, or a pre-war Model Y, you will find yourself in good company. Simply turn up, chat with like-minded enthusiasts and admire the cars. This year, the event celebrates 50 years of Britain’s favourite van, the Ford Transit. From its birth in 1965, when it raised the bar for van and light truck design, to its current fifth generation, the Transit has become a worldwide success. Even today, the name ‘Transit’ has become a byword for any practical light commercial vehicle. Owners of all ages and models of Transit are welcome to come along and join the rally. Among the number of specialist Ford clubs taking part will be the Ford Owners’ Club, the Focus RS Owners’ Club, the Mondeo Mk2 Owners’ Club and the Zetec S Owners’ Club, each one bringing along a variety of members’ vehicles. The Hendy Ford dealership will also be displaying a selection of the manufacturer’s latest cars and vans. 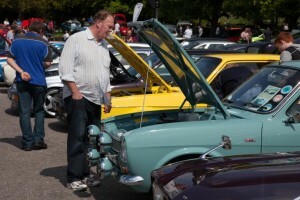 In addition to the hundreds of Fords on display, visitors will have the opportunity to browse a number of trade stands selling Ford-related parts and accessories. Rally participants and Beaulieu’s attraction visitors will have the opportunity to vote for their favourite Ford of the show, with the winner receiving the People’s Choice Award. Entry into the Beaulieu parkland with your Ford is from 9am, with the Brabazon restaurant and mobile catering units offering bacon rolls and breakfast snacks. 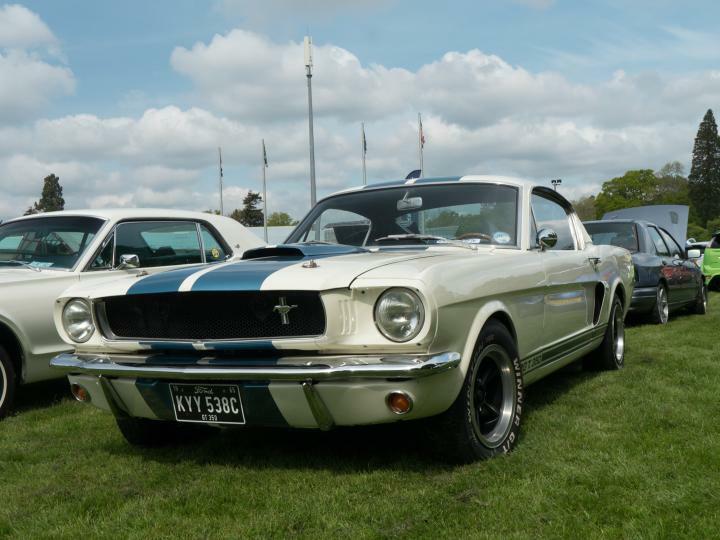 For entrants arriving on the 3rd May in their Ford and joining the event on the Beaulieu parkland, entry prices are £10 for an adult and £5 for a child. These tickets can be purchased in advance by telephone on 01590 612888, or online at www.beaulieushop.co.uk, or can be purchased on the day when you arrive. All other visitors should enter Beaulieu via the main Reception at normal Beaulieu attraction admission prices. Club stands are still available to ensure that club members arriving at the event can park together, but must be booked at least a week in advance. To book a club stand, and for all Ford-related trade enquiries, please contact the Beaulieu Events team on 01590 614614 or email events@beaulieu.co.uk. Admission to Simply Ford also allows you to enjoy the rest of the Beaulieu attraction, including the National Motor Museum, World of Top Gear, On Screen Cars, Beaulieu Abbey Palace House and gardens. Simply Ford is the first in a line-up of ten Simply Rallies that will be taking place in 2015, which also includes Simply Japanese, Simply Classics & Sports Car and Simply Vauxhall. A full list of Simply dates can be seen on the Beaulieu website, www.beaulieu.co.uk/beaulieu-events.